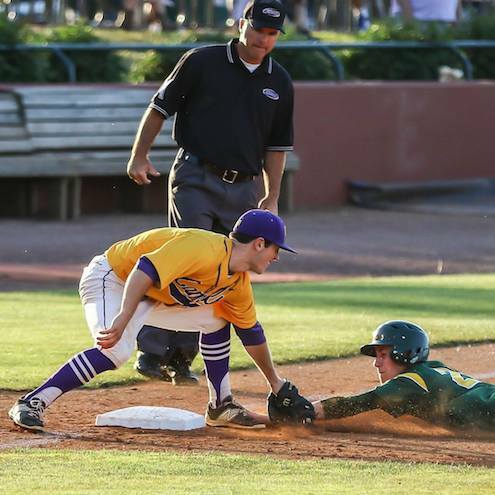 The Campbell County baseball team’s impressive playoff run ended Saturday with a 1-0 loss to perennial power Louisville St. Xavier in the KHSAA championship game at Whitaker Bank Ballpark in Lexington. Appearing in the first state title game in program history, Campbell County had the tying run on third base when St. Xavier pitcher Conner Holden got the final out to win his team’s seventh state title. Campbell County pitcher Colton Hartig gave up one run on five hits. His lone mistake came in the third inning when Casey Simon hit a solo home run for the Tigers. The Camels were limited to three hits and failed to score for only the second time this season. The Camels, who weren’t ranked among the top 20 in the state entering the playoffs, proved their place among the elite teams in Kentucky. The three Campbell County players named to the state all-tournament team were pitcher Alex Franzen, second baseman Conner Walsh and catcher Matt Reynolds. St. Xavier became the first Kentucky high school baseball team to win seven state titles. The Tigers did it with the No. 3 pitcher in their rotation. Holden hadn’t been on the mound since the district tournament. The top two pitchers on the St. Xavier roster were recruited by the University of Louisville and several other players have signed with other colleges. Franzen is the only Campbell County player who will play in college, according to coach Schweitzer. This is the third consecutive year that a Northern Kentucky baseball team has reached the state final. West Jessamine defeated Highlands in last year’s championship game and St. Xavier defeated Simon Kenton in the 2014 final.